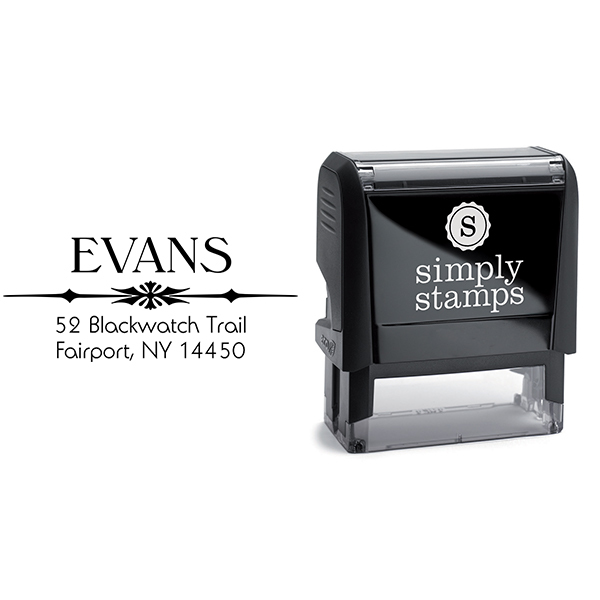 Bold last name decorative address stamp, perfect for personal or business use. 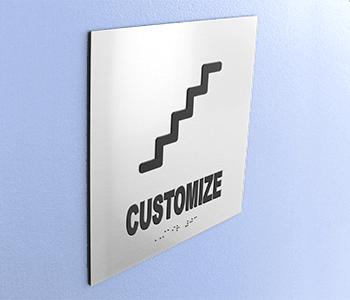 McKesson 8129 Desk Sign with White Holder. 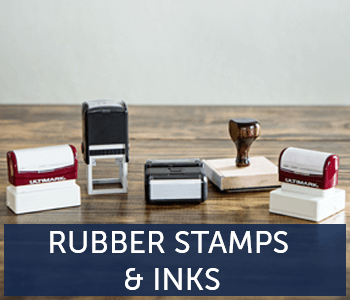 The Hollister point address stamp will elegantly customize all your mail! 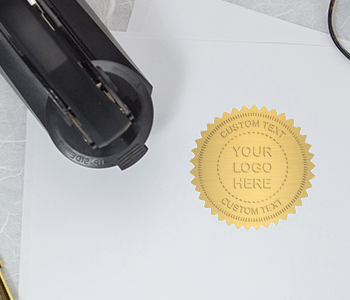 This bold stamp makes your last name the prominent feature. 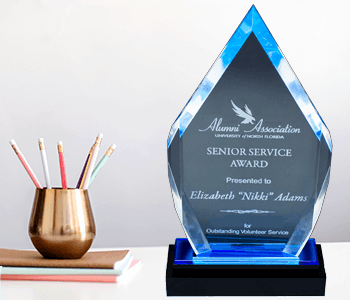 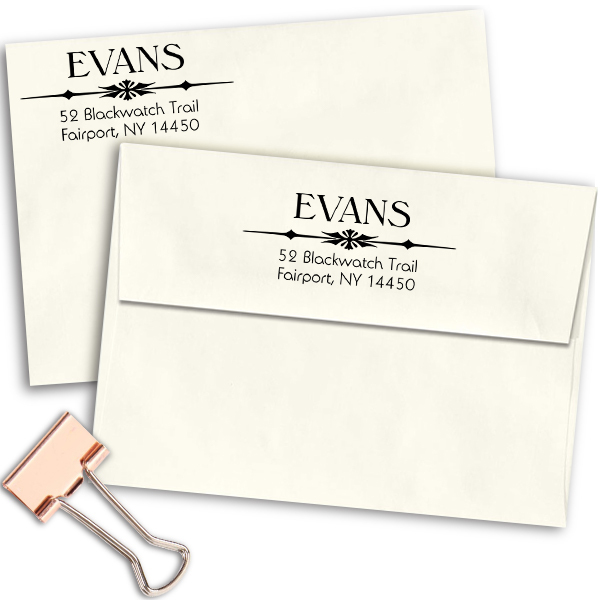 It is underlined by a decorative line that will ensure your name and address are recognized on every card or letter. 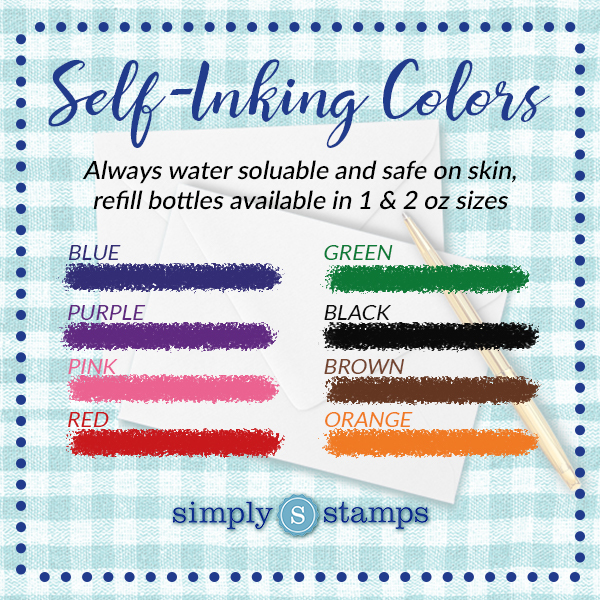 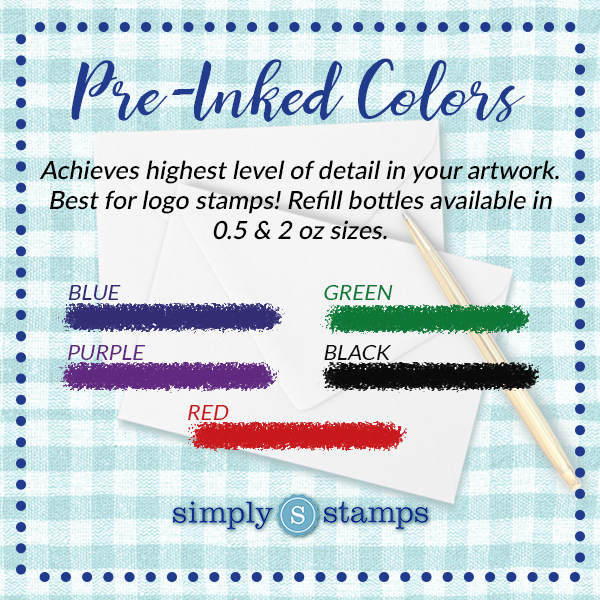 Customize this stamp to your needs and start getting your mail out fast!